Religious Education is on trial in Germany and other European countries. 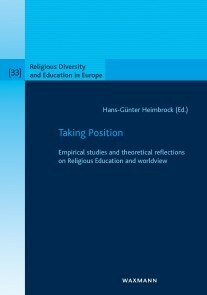 The focal questions are whether teachers should communicate essential issues about religion and religions to their pupils in a neutral way or whether they should convey personal and individual convictions as well. How should public schools in civil societies deal with positions of truth in the context of cultural and lifeworld conditions? Are there pedagogical concerns about professional teachers expressing an individual commitment in class? What is the significance of denomination in RE? The articles of this volume offer new perspectives by means of empirical studies and theoretical consideration.